Fairway villa located on Sea Trail Maples Golf Course - HIGH SPEED WIRELESS INTERNET- Pet Friendly (Non-refundable pet fee will apply) Non-smoking - No Phone. Three bedrooms/three full baths , two kitchen areas, 6 double beds, 5 large flat panel televisions with cable, DVD players (2), central heat & air, two laundry areas with stackable washer/ dryers. The lower level features an open two bedroom floor plan with adjoining kitchen, dining and living areas. 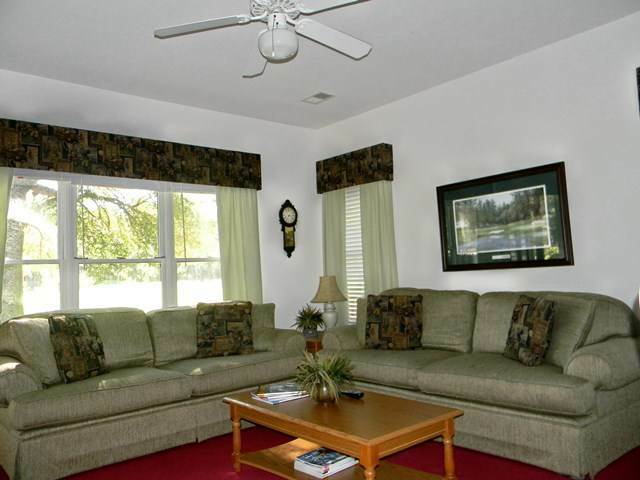 The lower level back bedroom has two double beds, a private bath and screened porch area. The lower level front bedroom has two double beds,a kitchenette area with microwave & coffee maker and private bath. The upper level 1 bedroom suite has a large open living/kitchen/dining area with fairway views. The upper level master bedroom has two double beds a private bath and screened porch. Both upper and lower kitchen areas are fully-equipped with dishwasher, microwave, coffee maker, blender, toaster, full-size refrigerator and range. NOTE: Property may also be rented as 2 bedroom downstairs or 1 bedroom upstairs suite - Call for pricing details. Complimentary linens, towels and departure cleaning service. The condo is located in close proximity to a recreational center within the Sea Trail community - The Village Activity Center. The Village Activity Center provides indoor & outdoor pools, hot tub and sauna. Use of the Village Activity Center is available for an additional daily fee payable directly to the facility on site.